We stock a large and varied assortment of closures (lids, caps) for our plastic and glass bottles and jars. We have attempted to make finding the closures you need quick and easy and so we have sorted the page by millimeter size. The link below will take you to a page with all our closure options. Toward the bottom of the page you will even find closures for our various 5 gallon drums. 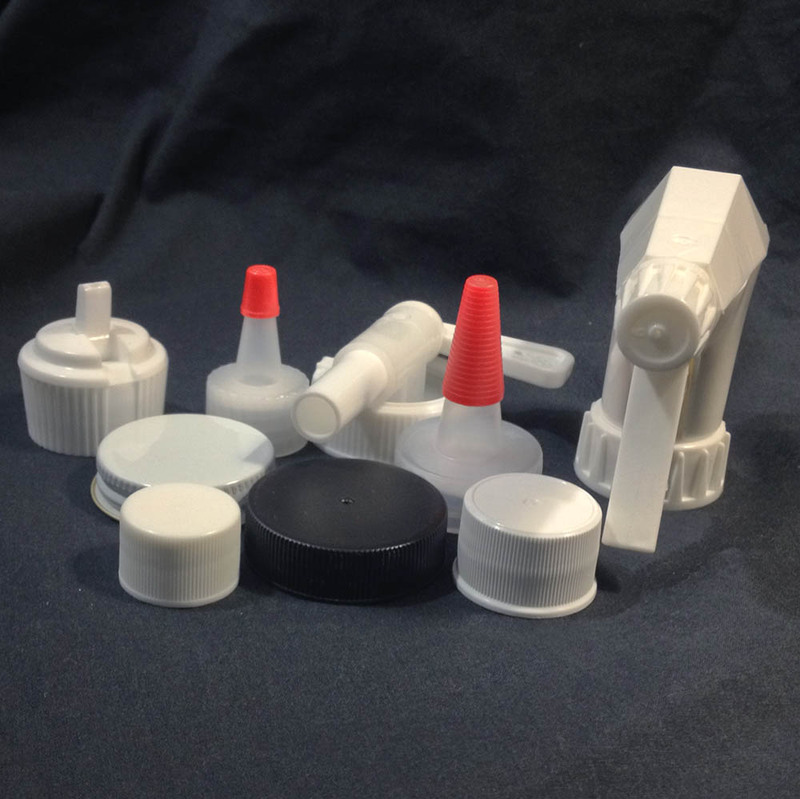 Our plastic cap selection includes foam lined caps, unlined, aluminum foil lined, pressure sensitive, black phenolic cone caps, polytop caps, spouted caps, glass droppers, fine mist sprayers, trigger sprayers and a 38mm quick serve spigot. Our metal cap selection includes pulp and poly lined, aluminum foil lined (PAF) and plastisol. For a complete list of our closures, please see this page. Listed on this page you will find suggested uses for the different liners available in our caps. As always, compatibility of the product with the containers or caps is the responsibility of the shipper. We suggest you call for a sample for testing with your product.